Link building is not dead, despite the fact that good unique quality content is king; so webmasters continually seek out ways to build quality links to their web properties, especially new websites; so learning how to build links to a new website the right way is absolutely important. Get it wrong and you place your new website at risk of getting the hammer from big G.
In this article, to understand how to build links to a new website the right way, we would need to also look at building links to an old site, and making comparisons. With new sites popping up daily all over the globe, and each yearning to get to the top of the search engines, mastering the skills of link building is very important. This is because the number of quality links tells google about the importance of your website and its value to users. The big G is always concerned about end users satisfaction. Though links pointing to your website; quality links; tells of its importance, it is wrong to drive links en masse to any website, especially a new one for that matter. So, what’s the best way to build up back links to a new website? How do you go about it? How many links should you build to a new website? These are very pertinent question especially for the newbie webmaster, and all these will be answered in this article. I guess you are all pumped up to find out how to build links to a new website….right? But first, I need to point out here that before delving into off-page optimization like link building, all website owners must first of all attend to on-page optimization like providing good quality unique content. This MUST not be neglected; especially if you are building a web property for the long term. Only after this has been faithfully carried out that link building should be taken into consideration. 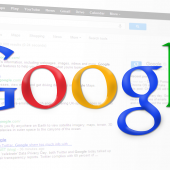 For new sites, they are often placed in a sandbox by google. What this means is that it will be difficult to rank as google doesn’t yet trust the site. This is why you should concentrate on providing content first. How long does google place new sites in a sandbox? This I can’t say for sure. Some a couple of months while some could take almost a year. However, one of the surest way of getting out of a sandbox really fast is by building trust and that comes with providing unique fresh content constantly. Content that benefits the end users. For a new site, it is bad practice to direct loads of links to the site. This will quickly earn you a penalty. The best way to go about link building for a new site is not by pouring links to the site. 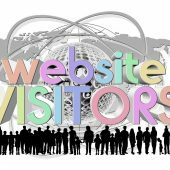 I would advise that you point a solid powerful link to the home page of the site the very first month. This will not arouse suspicion as one link is fine. But providing ten powerful links within a month for a new site, especially keyword links, will definitely earn you a penalty as it seems artificial. Rather, concentrate on social signals while you give out more unique content regularly. The second month you could give it like 3 more links. If your links are powerful enough, and depending on the competitiveness of the niche, this would be just fine. At this stage while your site is still new, your main concern actually should be with providing good quality content. If you have been providing content and building social signals, then you should be ranking already. With the fact that you already have some good traffic, you could diversify your link building by getting some directory links and social bookmarks as well as Web 2.0 links. I am assuming that we are working on a new money site. Of course no SEOer would use a new domain for a PBN, so you should be careful and stringent with the type of links you direct to your money site. Aggressively building links to a new site will earn you a penalty and fast de-indexing. You might never come out of the sandbox. However, if you build good and loads of quality content, follow them up with social signals and your content gets shared; you can get away with several powerful themed private networks links the first few months and a couple of quality Web 2.0s, social bookmarks and even a Press Release if you are building a brand. If your domain name is a brand name, google will not find it strange that you do a press release as long as your anchor is not targeting key words. You don’t want a pile of links with your anchor keyword or phrase on it. This is a sure way of attracting a penalty. For the first link you point to your site, it should focus on your keyword or phrase. That should just be it. This should just be a quality do-follow link pointing to your home page. All your other links should be raw links. By this, I mean your site URL or brand name. Say something like www.yoursitename.com or Your Site Name. This will make it all look natural and not attract a penalty. Aside working to build links, if you are providing good quality content and people are sharing your content, you would get some natural free links in the process. If it’s an old site, say a 3 – 5 years old domain, you could get more aggressive with link building as the site already has some good traffic most probably, and loads of links pointing to it. Sending 5 links or a link daily to it wouldn’t bring any damage. This is because the site already has authority and google trusts it. I am trying to be as elementary here as possible. I don’t want to go into the different tiers of links and end up getting some readers confused especially those just getting into SEO. The way you build links to a new site differs from the way you do to an old or aged domain. The only similarity is that they should all be quality links, though an aged domain could withstand some low quality links. However, from my experience, just 5 – 10 good links from authority website is enough to do damages to your competition, though that depends on how competitive the niche is. We should concentrate on getting authority links. It’s not the number of links that actually counts, though it’s important anyway. What matters is how authoritative the links are. A link from a site with TF-65 and CF-60 is more powerful than links from 5 sites with TF-6 and CF-10. I hope this article on how to build links to a new website has been of help. Let us know here. I welcome your own PERSONAL experience and comments below.